She is giving all the proceeds from Stuff I’ve Been Feeling Lately to the center that helped her family. 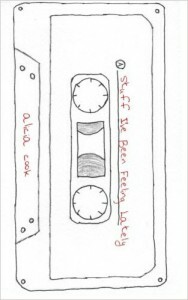 My guest this week is Alicia Cook, author of Stuff I’ve Been Feeling Lately. Alicia is 29 and hails from New Jersey. She earned an English Degree in 2008 and her MBA in 2012. She works in the marketing division at a private college in New Jersey. She is a contributing writer for many blogs and news outlets, including the Huffington Post and multiple Gannett Publications. Her work has been seen nationwide thanks to features on CNN and USA Today. She has an instagram following where she posts daily poetry. 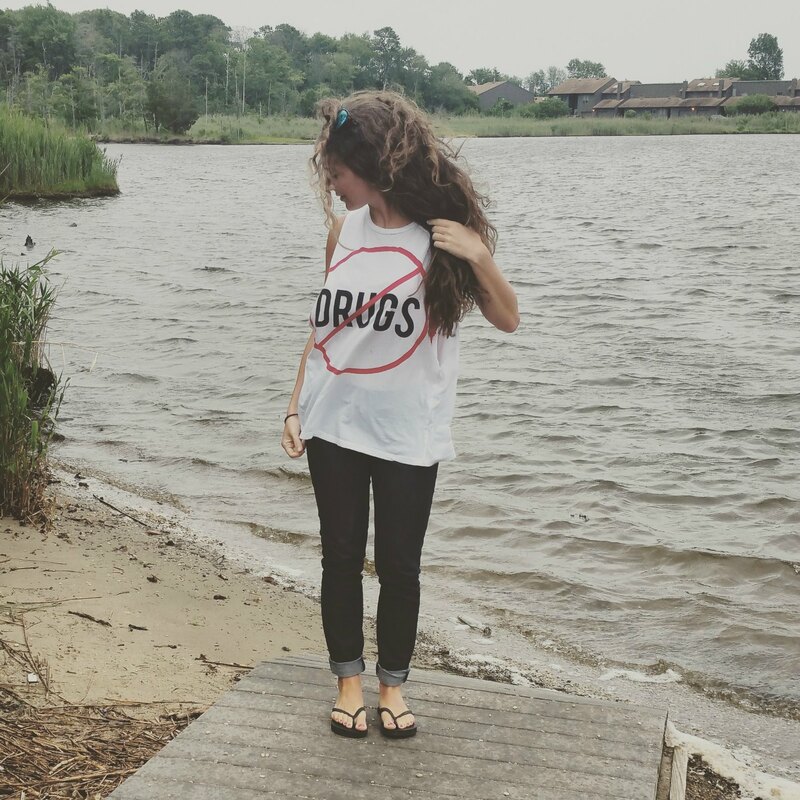 She writes regularly on drug addiction and how it directly affects families. She enjoys the ocean, champagne, and hour-long crime dramas on TV. Today she is stoked to announce she has released a “surprise” book for her readers for just $6.99 and is donating 100% of her royalties to the Willow Tree Center in NJ to help families where addiction is present. Listen as she shares her story of how her cousins heroin addiction impacted her at a very early age. We talk about the impact her writings have had on herself and others. You’ll also hear us get a tad political. One thing is for certain, by the time you finish listening to this podcast, you’ll know you are not alone. There are others out there who care about what you are going through. If you’d like to receive a copy of Alicia’s book, at no cost to you, just leave me a review on iTunes and email me Melissa@OakCreekWellness.com – letting me know which review is yours. I’ll be giving away up to 5 copies of the book to people within the USA. If you live outside of the USA and want a copy, I’ll pay for the book if you cover the shipping cost. =) I’ll be running this contest through January 31st, 2016. Here are instructions for leaving a review on iTunes. If you haven’t done that before, it can be tricky. *TinaCan2222 – thank you for your iTunes review! Please email me and let me know where I can send your book! Follow Alicia on Instagram: @thealiciacook or check out her website: www.thealiciacook.com. Go to Alicia’s website thealiciacook.com, you can read more of her work, connect with her either by email or on social media and buy her book. Full disclosure; I have an Amazon account and sometimes I link products through my account to try and offset some of the cost of the podcast. I have not done that here – if her royalties are going to Willow Tree (which is focused on Alcohol, Tobacco, Drug and Violence Prevention, Education and Counseling for Adults, Youth, and Families) then that’s where I want them all to go. Radiant Sky is the writers’ collective that Alicia mentions. She was able to work with them and self-publish her book. …which BTW went #1 in Amazon as soon as it was released under Women in Poetry! Congratulations Alicia! Thank you so much for joining me this week. Have some thoughts you’d like to share? Leave a note in the comment section below! Also, please leave an honest review for The Addiction Support Podcast on iTunes. Ratings and reviews are extremely helpful and greatly appreciated! They do matter in the rankings of the show, help more people find us, and I read each and every one of them. If you would like to email me, head on over to OakCreekWellness.com/contact. Special thanks to Alicia Cook for joining me this week. Until next time! Melissa Sue Tucker: [00:00:00] You’re listening to the Addiction Support Podcast, episode number Nine. Podcast Intro: [00:00:08] Hi Oak Creek Wellness Family! 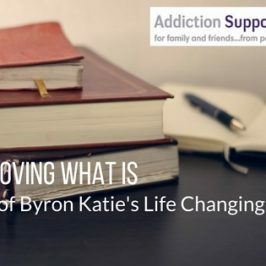 Welcome to the Addiction Support Podcast, where I talk with inspiring people who share their knowledge and experience of addiction and what’s working for them. This is addiction support for family and friends, from people who’ve been there. I’m your host Melissa Sue Tucker. Encouraging, Inspirational, Life-Changing Content that makes a difference! Created specifically for you – by Oak Creek Wellness.com. Melissa Sue Tucker: [00:00:36] Hello. I hope you’re having an amazing week. I have a great guest for you. My guest this week is Alicia Cook. You may know her from thealiciacook.com. She is a contributing writer for many blogs and news outlets including The Huffington Post and multiple Garnett publications. She writes regularly on drug addiction and how it affects families. I’ve seen multiple articles that she’s written gone viral. That’s how I found her. 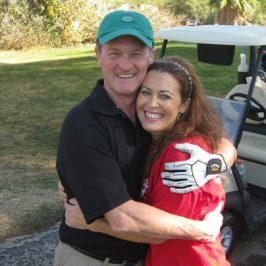 I came across one of her articles that I really loved and reached out to her on her web site. She has a tab there that says if you want to share your story let me know and I sent her an e-mail saying, “hey this is my story. This is what happened with my brothers and this is what I’m doing now because of it.” She got back to me within a couple of days which astonished me. We just started a friendship and decided that she is going to write my story. So that’ll be coming out soon and I’ll be sharing that. I’m just honored that she would come on the podcast and share her story. One exciting thing is the day that we recorded this she released her second publication. It was her first book that she self-published and it’s cool. She has chosen to donate 100 percent of the royalties to the willow tree Center in New Jersey and she talks about that in the podcast. And yeah, she’s just a cool down to earth person. She loves those old mix tapes so her book, she did the artwork for and she set it up so that instead of a table of contents there’s a track list, and its just kind of cool. She’s a very loving and grounded woman. And one of the things that she brought up that I hadn’t thought about before was so true. It’s like we are part of a club that unfortunately is not that exclusive and that nobody wants to be a part of. And in this day and age our club is growing. And she’s out there doing what I’m doing. Only she’s doing it on a much bigger scale and she’s doing that through her writing. The book itself just covers all aspects of the human condition. You know everything from death, love, moving on, evolving, growing up, hometowns, family dynamic, life after trauma, and make ups and break ups. That’s on side A, and then on side B, she has the remixes of those poems. And so, it’s a form of blackout poetry known as Fallen poetry. So, it’s cool. This is a fresh twist by creating new poetry out of sight. So very cool. And like I said all the proceeds go to Willow Tree center. The book is less than $7 on Amazon so you guys got to check it out. You got to pick up her book. I’m running a contest if you would like a free copy of her book. I’ll be happy to give those away. I have the contest on the show notes, so you can just click on there and find out more information. Basically, what I’m asking for is reviews in iTunes. Honest reviews and iTunes, what’s going to happen is the more reviews we get the more other people out there are going to be able to find us and tap in and tune in and become a part of this community. Melissa Sue Tucker: [00:03:54] And I want to encourage you and incentive you in sharing in that if this is something that’s touched. If it’s something that you feel like you want to do. So, with no further ado, I hope you enjoy Alisha’s podcast interview and reach out to her. She’s a real person, pretty phenomenal. Follow her work and buy her book. Thank you. Melissa Sue Tucker: [00:04:18] Thank you so much for joining us today and the addiction support podcast and I was hoping that you could share more about your story with addiction how it’s touched your life. Alicia Cook: [00:04:28] OK well unfortunately addiction has touched my life immensely. And usually when I say Touch my life it could mean you know in a positive way. Addiction has ruined a lot of my life. It’s a monster, 10 almost 10 years ago. I lost my cousin to a heroin overdose. We were 19 years old at the time. Obviously, I was completely, ignorance is bliss, and I knew nothing about this drug. It also wasn’t on the forefront of the news like it is now. I feel like now. Everywhere you turn every corner is someone directly affected by some kind of addiction. It’s truly an epidemic. But 10 years ago, we were stunned when we first found out my cousin Jessica was battling addiction. She battled addiction for 18 months before losing her life. So, she didn’t even have that long when she fell into addiction to beat it. But she did try multiple rehab, counseling, everything, detox, and unfortunately though she lost her battle. Melissa Sue Tucker: [00:05:39] I’m sorry to hear that. Alicia Cook: [00:05:40] I was young, I was young when I was first faced face head on with the reality of this drug and what it does to families and everything like that. So, in a way I was educated very early on, on this topic. Yeah but that’s sad. Ten years ago, almost now. Melissa Sue Tucker: [00:06:00] So you’ve done a lot of writing and a lot of other things since then too. Are you trying to help other people or their families that are going through it? Or what do you think your goal is or your driving forces. Alicia Cook: [00:06:16] Well she’s been gone almost 10 years now. But you know it’s all over the addiction everywhere now. Like I said it’s truly an epidemic so the fact that all this is everywhere now. I think it’s bubbled up to the surface. I didn’t even write about my husband or my experience for the first six years after I lost her, I just wasn’t ready to do that. I mean I knew one day I was going to write about this, but I didn’t know that it was going to be you know a fictional way loosely based on my life. But then with the digital age and the Internet and everything I kind of just started putting my thoughts out there really just to be cathartic. I think writing is my therapy in a lot of sense. You know in a sense, but I do. Hope I could help people that unfortunately we are members of a club that no one really wants to be a member to. That’s always the way I describe it is that we are such a large community now the families and the loved ones have been directly affected by addiction. It’s unbelievable how many are touched by this now and that no one really wants to relate to this topic. You know what I write about is not pretty. Most of the time it’s not helpful but it’s the reality of it. And I think I was one of the first younger bloggers to get on this head on and be like this it’s horrible it’s an illness it’s affecting everyone. You know it does not discriminate and in turn a lot of people have connected to my work. So, I think that I’m grateful for the connections but at the same time no one really wants to connect to it but if they could find any kind of peace or solace or hope in what I’m writing then I think I’ve done my part. I’m never compensated for my articles on addiction. I refuse payment because I don’t want to benefit off my trauma or any other family’s tragedy. Truly just writing it to connect to people to let them know they’re not alone. Melissa Sue Tucker: [00:08:29] I think you’re doing a really huge service too in just removing the stigma. You know looking at your last article about, and I might say it wrong so correct me here about like stop calling them junkies. Yes, like that when I was just like yeah. Like you start crying right now. It was just really powerful, and it was really it’s so true. It’s not know these people that we can just throw away because they made a bad choice these are people that truly have addiction and we need to stop labeling them and figure out how to come together and you know ideally get in front of it for people that haven’t started and then you know come together and come up with a way that we can treat the addiction as that was. Alicia Cook: [00:09:21] Stop calling them junkies. I wanted to write that for a very long time. I just never did. Not for the fear of people attacking me in the comments section or anything like that, but I wanted to not just race from my point of view with that. I wanted to get a counselor’s perspective, an actual addicts point of view. And then I wanted to talk to people that don’t dedicate so much of their time. They volunteer their time, they’re not even paid to run organizations in hopes of helping them. But that article was a long time coming. And it was hit with a lot of criticism. These people are stuck in their ways. But exactly what you said. I really can’t even add to it because what you said sums it up. I am so tired of that word because it takes a multilayered unique individual living breathing humans and just makes them one dimensional like their fictional characters who can just run right off and race them. I try to stay away from the comments section on a lot of my articles because of what people say and I just get so heated and I know I have to stay to be Switzerland and everything a lot of the time. But I’m so sick of comments that are just born out of being uneducated on topic. And you know what I think I’ve said it before that they’re lucky. I’m jealous that they are educated and ignorant in a way because that means that they have never been directly affected. Melissa Sue Tucker: [00:11:07] Yeah you have to stay away from those comments. You don’t have haters. You are not doing your life’s work. That’s kind of my attitude about it and I try not to look at them either. But sometimes it’s hard. Alicia Cook: [00:11:18] Yeah that junkie article, you know that I don’t even like saying that that junky article, but that that article I wrote on the word junkies I’ve never read such hate before in the comments section. So, after that I was like you know what. At the same time the positive that you know the positive emails I’ve received from people and the out pour of support and saying you know yes, we need to stop using that word. And I am a writer, so I understand you know the first amendment people are going to say what they want but that word does nothing to help the cause. And you know the use of such negative language decreases people who use drugs to stigmatize stereotype that is honestly antiquated now because it does not discriminate at all. It could affect anyone, any time, any family, any upbringing. People forget that. And I just hope you know I hope with every article I write I just chip away at that stigma just a little bit. Melissa Sue Tucker: [00:12:22] Yeah. Good for you. Well, I’m definitely saying, yeah keep going. People that I’m talking to that are also involved in this we’re watching you, and reading you, and sharing your articles, and just keep going. Hopefully you are, and hopefully they will never know the pain, and hopefully, they’ll never know what that feels like. And you know if God forbid it does impact them in some way then than they had that experience of you. And you know maybe who knows maybe they’ll become a big advocate too. You just never know you’re planting seeds you know. Alicia Cook: [00:13:04] Yeah, I mean I wouldn’t wish that on even my worst enemy because it’s completely it’s been 10 years since my cousin died. And you know we’re still you know dealing with the ramifications of her not being there every milestone every graduation every wedding. It’s just the elephant in the room that the other person my age you know my own flesh and blood. You know we grew up similarly we had a lot in common. She was she loved writing and she was very artistic as well before addiction got a hold of her. And it’s just a reminder almost every day that a person that should be here is in because of because of drugs. Melissa Sue Tucker: [00:13:49] It’s you know so out of all your articles that you’ve written so far do you have one that know they’re not you know they’re not the bright side, but do you have one that you like the most or you feel like it’s been shared a lot or is get you know gotten a lot of positive feedback on. Alicia Cook: [00:14:09] Yeah. One of my articles back in October, I think it was called “Lessons I Learned from Loving a Drug Addict,” that ended up going viral. NBC, CBS, you know a lot of Gannett publications pick that up. It was shared hundreds of thousands of times according to the editor there was read millions of times. That was that was what actually propelled me to keep writing about addiction not because of the attention it gathered but for when I because of the attention it gathered. I said while there may be a need for this. Some people might need to read stuff that I’m writing in private not sharing. So that’s kind of what started my whole addiction eccentric writing in some articles because I realized you know if it’s being shared this much and it’s resonating with this many people. There’s a need for it. And I know you know 10 years ago when I was trying to learn about drug addiction the internet exactly was it what it is now. There’s no smartphones. I went to bookstores and just to learn. I wanted to read a book, a memoir, anything written from a family member’s perspective regarding drug addiction and I just could not find it. Well maybe I’ll do it one day but for now I’m doing the smaller articles that are touching on the family side of things. The other side of addiction. Melissa Sue Tucker: [00:15:50] Well let me know if you do end up writing it. I’m going to be one of the first customers. Alicia Cook: [00:15:56] Yeah it wouldn’t be anytime soon. I mean I would I would imagine it would be a memoir of that kind of documents my experiences with addiction. And you know I’m someone who’s never even smoked a cigarette. So, it’s just it’s polarizing sometimes to think about everything that this drug takes away from families. And it’s not just it’s not just heroin really any kind of addiction alcoholism you name it. Melissa Sue Tucker: [00:16:25] Right, anything that takes them away. Melissa Sue Tucker: [00:16:48] Good title! Alicia Cook: [00:16:53] Yes. Because it is. And it’s not it’s almost you follow my work and you know who I am already if you it’s not until halfway down the article that you realize that I’m not an addict. So, it draws parallels between the pain that the family goes through and the pain that the actual ad it goes to do and sometimes you know you would think that it’s reading that article many think until halfway down that I, I’m the addict that heroin is the worst thing that happened to me because I’ve used heroin where that’s not the case, but I loved someone that has. That was just something real, it’s a 700-word article, but I really just had to get that out of my system. So, think about it you know like this might be the worst thing that ever happened to me and it didn’t directly happen to me. Melissa Sue Tucker: [00:17:45] I’m going to link to all the articles in the show notes to so if anybody’s interested. and obviously they can go google them or they can go to your website. Can they find it from your web site or just from Google? Alicia Cook: [00:17:57] They could, all my writing is on my web site. So, thealiciacook.com. If they click. “drug addiction” it will bring them all to my articles on addiction. If they don’t want to read any of my fluffy pieces that it’s so the right from time to time. Melissa Sue Tucker: [00:18:13] Are those the pieces that kind of help balance you out? Alicia Cook: [00:18:16] Yeah, it makes my dad happy when I write about happier things. Sometimes he just, he’s funny with that. He gets that I get it, and he gets other people really get it, but at times he doesn’t like that his daughter always seemed so sad. But I always tell him we have to separate the art from the person a lot of the time. Melissa Sue Tucker: [00:18:42] That’s funny. That’s sweet. He cares. Alicia Cook: [00:18:45] Yeah, he’s a great dad. But it’s just fun. You know how you react to some of my pieces. Melissa Sue Tucker: [00:18:51] That’s awesome. All right. So as of this time of this recording you have some exciting news because you just self-publish a book and release that today, is the second book is that right? Alicia Cook: [00:19:04] Yes, it’s my second book but it’s my first book that I kind of just did on my own. I wrote it. I designed it. I drew the cover, I did everything by myself. I’m not connected to a formal publishing house anymore but, Radiant Skies Publishing Group is a writing collective that I’m connected to. They are just a bunch of great people that love art and love producing art and they volunteer their time and they really helped me polish this. Melissa Sue Tucker: [00:19:38] So I want to get into the book. But before we do can you tell me why Willow Tree Center in New Jersey is important to you? Alicia Cook: [00:19:46] Yes. Willow Tree Center in New Jersey, it’s in Morris County New Jersey. It’s very important to me because it’s important to my aunt and uncle, my cousin Jessica’s parents. During the 18 months with Jess battling addiction and following her death, Willow Tree Center was and is a major resource for my aunt and uncle. Now my aunt actually volunteers a lot of her time helping them out as well. They do a multitude of things with an organization, they do have you know the outpatient, they do have direct resources for the person suffering from addiction. However, what I like as a family member is they have so many resources for the family. They even have something that is specific for parents who lost someone to addiction. Where you know not that you would want to involve yourself in the group if he were directly affected like that. But they really have targeted groups to help. You know with each person, and that’s also people lose sight of, each person’s experience so we could all relate to each other. They’re all very different because there are different people in different families and different dynamics like that. So, will it really help my aunt and uncle out. And I just want to help them out in their turn because you know my, just the fact that they a helped my uncle during the worst time of their life. I’m indebted to them for that. Melissa Sue Tucker: [00:21:24] And I just wanted to mention that because, for all of our listeners, Alicia has chosen to donate 100 percent of her royalties for this book to that center. So, this isn’t, I mean not that it would matter if it was, but it’s not something that you’re looking to make money on. This is something that you want to make money on so that you can give back and I think that’s just really beautiful. And I wanted to make sure we pointed that out. Alicia Cook: [00:21:46] Thank you so much. Melissa Sue Tucker: [00:21:48] You’re welcome. Alicia Cook: [00:21:49] I mean every little bit helps. I’m not, you know, this isn’t going to, this book is a chat book, it’s poetry, it’s not going to end up on you know a New York Times bestseller list or anything like that. But I do have very dedicated, supportive, readers that we’re just excited for the fact that I released the book in the first place and that I’m only charging $6.99 for it not you know $20. And I am donating 100 percent of the royalties to try to help families where addiction is present. To be completely transparent with that. And every month I’m going to actually share the transaction. So, I mean not that I think people think I’m a liar, but I just know that I just want them to know that their money is going where I promise that it’s going. Melissa Sue Tucker: [00:22:40] That’s cool. Will that be on your website or where are you going to be sharing that? Alicia Cook: [00:22:44] Yes, it’s on my web site and it’ll continue to be on my web site under I think it’s a tab, something like my new book release or something. And as I get more promotional articles and press on the book and donations and everything like that I’m going to be posting all of that they’re just so it’s completely you know full transparency and people know that their money is going to this cause. Melissa Sue Tucker: [00:23:13] That’s awesome. So, is the book just for people that are dealing with addiction or is there something in there for everyone? Alicia Cook: [00:23:20] I made a conscious decision not to include writing on addiction in this book. I did it, so it really just follows every up and down that that a lot of people experience in their lives. You know wanting to grow, adulthood, evolving into a new person after something tragic could happen. Life, love, loss, everything. It covers the you know the human condition. Melissa Sue Tucker: [00:23:54] That’s awesome. Alicia Cook: [00:23:54] I’m a huge music fan. I’m a hip hop head which people seem to find funny for some reason, so I designed the book in the style of an old school cassette mixtape. So, there’s two sides. There’s side A and side B, so like back in the day when we had to like to flip the tape around and everything like that. It’s broken down into two sections side A, is the 50 poems. Side B is those same 50 poems remixed in the form of black out poetry. And instead of a table of contents there’s track listings. So, did it kind of in a fun way. Melissa Sue Tucker: [00:24:37] That’s cool. And you drew the cover yourself right. Alicia Cook: [00:24:40] Yes, yes. I drew the cover myself. I’m not you know, I’m not an artist by any means, but I’m going for a minimalistic simple feel and I’m really happy with how it turned out. Melissa Sue Tucker: [00:24:51] It’s beautiful. Alicia Cook: [00:24:53] Thank you. Melissa Sue Tucker: [00:24:54] You’re welcome. And we’ll be running a contest to, so I’ll be giving away some of your books and I’ll put the notes in the show notes for anybody interested. If you’re interested in picking up one of her books you can buy it on Amazon. Tell us the name of it. Alicia Cook: [00:25:11] It’s called, “Stuff I’ve Been Feeling Lately. Melissa Sue Tucker: [00:25:15] So they can search by that or your name right and find it? Alicia Cook: [00:25:18] Yes. If they type in Alicia Cook and even write the word, “stuff,” I think the book comes up if they don’t want to go through my website. So yeah, it’s called, “Stuff I’ve Been Feeling Lately,” I named it that because I think that’s what I’ve named one of my like burnt CDs or mix tapes before. Melissa Sue Tucker: [00:25:34] Cool. And so, if you’d like to get a free copy. Well free to you, I’m happy to buy one. Just check out the show notes and check out the contest. You can go about it that way. Or go to Amazon or do both. I don’t, I’m up for whatever I think it’s a great cause. You know I love reading what you write so I’m really happy to support you in that area. Alicia Cook: [00:25:56] So, so happy we connected. Though the book doesn’t focus on addiction. I did dedicate the book to anyone who loves someone struggling with addiction. And I put the Willow Tree Center’s wit website on there and then I just, of course I thanked my mom and dad because they’re my pillars and I love them. Melissa Sue Tucker: [00:26:17] That’s awesome. What else do you want to share with us. Do you want people to go to our website and like input their information to do a story with you or are you kind of filled up on that right now? Alicia Cook: [00:26:30] Oh no. I’m always accepting the interview forms. I am backed up probably until May, but that does not mean that I won’t. I still write back immediately to them and let them know that there is a way, but every single person’s story is so important to this cause. I was watching the anonymous people and they said something that stuck with me and they said public opinion here on public policy. And so, the more people whose story I could share about this the better. Melissa Sue Tucker: [00:27:03] That’s awesome. I love that movie. Alicia Cook: [00:27:06] Yeah, I mean I, and then two days later, the anonymous people their Facebook page and website shared my article and I just almost passed out. Melissa Sue Tucker: [00:27:17] How cool is that. Alicia Cook: [00:27:19] Yeah, I was like, I just saw your documentary, I loved it! Melissa Sue Tucker: [00:27:23] That’s awesome. What are some I guess life hacks or tips, or advice do you have for other people that God forbid are going through what you’ve gone through? Alicia Cook: [00:27:38] Whatever I say here is probably going to sound cliché, but I can only speak from my own experiences. And you need to educate yourself. You’re all of a sudden you could wake up in your world can be entirely different and never the same again. So, I would just hope that you know people do their due diligence and they educate themselves and they read about you know whatever drug or substance their loved one is that you know starting to use and fall. It’s really is a rabbit hole. I wouldn’t say there’s a life hack basically, I mean especially in the beginning, when I lost my cousin who just I did not know how my uncle woke up every single day after that and lived their life. That’s how the one thing that one day I will write about is how resilient we are as humans as well because the pain of losing someone, a child, a cousin, a sibling. Your life is forever changed. Melissa Sue Tucker: [00:28:45] You know if there’s somebody listening that wants to start writing but they’re just not sure where to start. What type of advice do you have for them on that? Alicia Cook: [00:28:53] Writing about addiction? Melissa Sue Tucker: [00:28:54] Yeah. Alicia Cook: [00:28:56] I would say start, start with you know open a blog. There’s so many free blogs nowadays, Tumblr, WordPress, anything like that. And just start showing that conscious, write what you’re feeling. It’s almost like when I finally started really writing about it and I had felt like for a long time just holding my breath that feeling of always being like that sucking air feeling. And then when I started writing about it even before I thought anyone even read it was a relief. So, I always say to write honestly don’t write what you write in the hopes of going viral or you know gaining a large readership. If you write honestly. you know stay truthful. You know hone your voice and people will naturally be attracted to your work, they will gravitate towards you. They will start trusting what you’re saying, they’ll start believing in what you’re saying and just start blogging and then the Internet’s great and horrible waste that starts if you want to really start submitting your work. 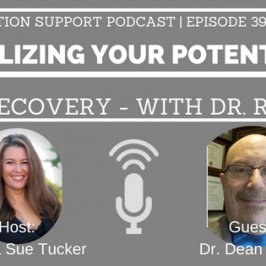 There’s so many recovery and rehab and things like that, that want to hear what you’re saying. If you do a quick google and you Google, you know share my addiction story so many people including my own website that ask for your addiction stories will pop up. So unfortunately, there is a market because, so many people are suffering from this now and everywhere. Melissa Sue Tucker: [00:30:39] That’s good to know. Alicia Cook: [00:30:40] And I mean they can always e-mail me. I mean I get probably 100 e-mails a day. I respond to every single one of them. Melissa Sue Tucker: [00:30:47] Wow. Alicia Cook: [00:30:48] Yeah. I mean, I don’t know how long you can sustain this. But for now, I am responding to every single e-mail within 48 hours. Melissa Sue Tucker: [00:30:58] Because you have a job to, right? This isn’t your job? Alicia Cook: [00:31:01] No, no, no. It would be great if it was. I work full time in marketing, so I am a writer in real life as well. But I write for a private college in New Jersey so completely different type of writing but like today I got home from work and now I called you. So, I really, I’d probably technically work until you know I go to sleep but it doesn’t feel like work for me because I’m so passionate about this cause. I believe that if enough people come together and they say no this problem is not going away. There needs to be you know public changes in public policy there needs to be more beds in rehab centers. I just read this one mother’s story she e-mailed me at 3:00 in the morning a couple of days ago and she said her daughter was abusing heroin for maybe six months before she found out. Immediately when she found out her daughter broke down cried she wanted help and where she’s from in the Midwest, the waiting list to even get into a rehab with six to nine months. And her daughter, her daughter unfortunately didn’t have nine months left. She died two months later. Melissa Sue Tucker: [00:32:17] Wow. Alicia Cook: [00:32:18] I mean you never know relapses happen. People go in and out of rehab a lot. You don’t know how many second chances you’re going to get if any. But at the time you don’t wanted to recover. She wanted to get help she knew she was sick. And there just, the hope was there for her there. The waiting was too long. So, it’s just it’s heartbreaking. The e-mails I get, but yeah, I just I believe in this cause I believe that if we come together we could make a real difference. Much like how AA did years ago. Melissa Sue Tucker: [00:33:00] We have to do something like an anonymous people they talk about when somebody says they need help. They need to have services available right then and there. And you know if you go to the hospital and you’re having an appendicitis they’re going to get you in. But for whatever reason our society doesn’t see this as the same level of importance or urgency or even the same category. And then also like if you get arrested because and I don’t know how it is in New Jersey but in Arizona if you have paraphernalia or you know even a seed from marijuana you’re going to go right to jail like they’re arresting you and they’re taking you right in. We need those types of services for people who are ready for help or need help. We need to be able to say OK here we go like we have a bad for you we’re going to take care of you and provide that. Alicia Cook: [00:33:50] It’s scary because like you said what you just said made me think of my cousin. Because they need a bed immediately, they need to be it when they’re when they’re seeing when they’re when they’re lucid and they know that they are in trouble and they know what they’re doing to themselves they’re few and far between. Once they fall down the rabbit hole where will they have these lucid moments of oh my god I need help. And you know they can say that one minute and then if you waited a day goes they’ll say, oh you know I’ve heard of families and I know even you know my cousin and they forget. So, they could change their mind and if they’re over 18 you cannot force them to go either. So, when they’re lucid and they want help you need to give them help right then and there. I just I honestly don’t know. It’s in the DNA. And now it’s in the American Society of Addiction Medicine that this is a chronic disease. It’s not a social disorder and people are still thinking that what we’re saying what the advocates are saying is opinion and it’s not it’s fact now. And I don’t know how many more premature eulogies need to be written before we all realize that those who suffer from addiction are suffering there. They’re not happy. Melissa Sue Tucker: [00:35:15] Right. Alicia Cook: [00:35:15] And they are not weak or immoral. They’re sick. And then another argument that comes up is well you know a sickness is AIDS, a sickness is cancer, a sickness, you know it goes on. And yes, you’re right that every illness is different but it’s not about comparing physical diseases to addiction. It’s about understanding how addiction impairs the user and show signs and symptoms just like every other illness. I’m not saying addiction is cancer. That’s a very hot button issue right now that God forbid we call addiction an illness they throw cancer in my face. Our face. Melissa Sue Tucker: [00:35:55] Yeah. Alicia Cook: [00:35:56] It could be its own chronic disease it could be in you know connected to mental it’s just a whole that whole admiral argument is a whole other beast. But like you said there’s not going to be any kind of change if we don’t change our perception of it. Melissa Sue Tucker: [00:36:17] I’m kind of feeling like I should I’m going to go ahead and say this. So, part of the reason why I’m doing this podcast is because in the past I had a lot of judgment on my brothers and I don’t know I was I was you know not one of those people that would go on the internet and say stuff, but I definitely had judgment on them and what they were doing. And I said some stuff that I really regret and so I’m just going to say this out to anybody that’s listening if you’re in those shoes where you have judgment on somebody that has addiction. Please just take a setback like Alicia is saying do educate yourself. Look at some of these things and don’t say or do anything that you’re going to regret down the road because the people that have addiction they really are sick. And it’s there’s nothing you can do to take it back after they’re no longer in your life. So. Alicia Cook: [00:37:17] And I’m also not saying I don’t romanticize addiction. I don’t, I’m mad a lot of the time and that’s another thing that I write about is as the loved ones of addicts you are allowed to be mad without feeling guilty. You are allowed to be really pissed off because this is not the life that you signed up for. You did not. You did not ask for this nightmare to be brought into your life. So, I’m not glorifying addiction. I’m not saying that there should be no ramification for crimes committed in order to support a habit or anything like that. I’m just saying I just don’t know where any of the compassion that humans should hold. I don’t I don’t know where that is when it comes to addiction. There seems to be zero compassion by the majority. It’s sad because it can happen to anyone. Like I didn’t wake up 19 years old and was like, today’s the day that my whole family’s life is going to be disrupted by addiction. No. I didn’t, the day I got the phone call that I that we lost my cousin. I was at my private all girls’ Catholic college in class. This is not, just, I don’t know. I don’t try to glorify the addiction because a lot of times it does make me mad as well. Melissa Sue Tucker: [00:38:47] Yeah. Alicia Cook: [00:38:47] But yeah you never you never know. You, you can’t, you can’t know what’s going to happen a week from now a month from now. Your whole life can be turned upside down and there were times where I was mad at my cousin when she was alive and I never, I never let her know that. And again, people would say that that we should have let her know that I’m able to sleep at night because I know that I love her no matter what. And I mean she even thanked me once for treating her like she was normal. We would go get French fries and things like that, I kept as much of our traditions as I possibly could before she was gone. And because of that, you know, I had I mean I it’s a positive. You know I think about her smile a lot of times. I don’t regret anything. And I’m sure I hope you could say the same about your brother. Melissa Sue Tucker: [00:39:47] No. I have regrets, but I feel like he’s forgiven me. Alicia Cook: [00:39:54] Well that’s good. Melissa Sue Tucker: [00:39:55] Yeah. Alicia Cook: [00:39:56] Maybe you’re doing, it’s almost like I don’t want to say retribution, but the fact that you’re doing this podcast and you’re putting your story out there, and you’re spending time you know hearing other people ramble like me. I just want you to know like what you’re doing matters. But every single person in this you know that is that’s in this, every single person, what you’re saying matters. Melissa Sue Tucker: [00:40:18] Yeah. Alicia Cook: [00:40:19] And you are making a difference. Melissa Sue Tucker: [00:40:21] Thank you. Thank you for saying that. I just want to be. I think that there’s a huge shift coming. I don’t think we’re quite there yet. I think there’s a bunch of us that are coming together and are saying no you know society needs to change. There needs to be changes in how we treat those and how we talk about it. And I’m just honored and grateful to be a part of that cause. And I know we’re going to make a big difference, I know. You know I think three to five years from now we’re going to look back and it’s going to be completely different and we get to you know say that’s partly because of us. Alicia Cook: [00:40:56] I just, I mean, I really, three to five years the amount of people that are going to be dead because of this. Melissa Sue Tucker: [00:41:01] I know that I wish it was over. Alicia Cook: [00:41:05] It’s scary. Melissa Sue Tucker: [00:41:06] And maybe we can do it sooner. You know hopefully. Alicia Cook: [00:41:11] I definitely feel like we see a shift because there are so many more people that are speaking out on it and I think that’s directly related to the fact that we are saying now speak out. There’s no shame attached to that if you have nothing to be embarrassed of, that don’t you know the stigma attached to it. I’m hoping I’m hoping is, kind of fading away and giving people the confidence to speak out and be like this happened to me it could happen to you. Melissa Sue Tucker: [00:41:39] It’s not something to be ashamed of. If you have a family member that’s going to this, we need to speak out to be able to get the help and the support to make it through it. Alicia Cook: [00:41:47] Right. I mean even in 06 so and when my cousin is going through this and you know not a lot of my friends knew, we kept a very close within our family, because of everything associated all those you know pigeonholing stereotype. And now it’s like it’s a little more out in the light out in the open and not both with someone important finally hears us. Melissa Sue Tucker: [00:42:16] I hope so. 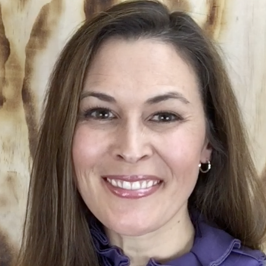 Alicia Cook: [00:42:17] Because we could drive change, you know. Melissa Sue Tucker: [00:42:21] Yeah. Well I hope that the CDC decides to stay with their stricter guidelines because I do believe that. I mean at least a lot of people that I know that have gone down that path started out on prescriptions from their doctor that they didn’t probably need. Alicia Cook: [00:42:37] Right. And we don’t even talk about that. Melissa Sue Tucker: [00:42:40] We can, if you want, if you have time. Alicia Cook: [00:42:43] That’s, but people don’t wake up one day, 16, 17, 18, years old 30 years old, they don’t wake up and they say today I’m going to go somewhere and I’m going to purchase heroin. Melissa Sue Tucker: [00:42:57] Right. Alicia Cook: [00:42:59] It starts. I mean again it started with my cousin. It started with a lot of people that I’m very close to in Ocean County New Jersey. It started with just going into a medicine cabinet or rightfully having a prescription and getting hooked on it. You know after car accident, after a leg, injury. I mean I got my wisdom teeth out and they prescribed me like Vicodin and I took a half a one, and couldn’t even, I was out cold for hours. Back when I was younger, so it does start with the pharmaceuticals and the prescriptions. And if they’re buying 20s, 30s, 40s, that’s street language for different pills. Xanax, OxyContin, if they’re buying those. That’s the number that they’re paying per pill. In a lot of places, I know I only speak about New Jersey and with my limited scope of knowledge but if they’re going to buy 20s, or 30s, that they’re paying 20 or 30 dollars per pill. Melissa Sue Tucker: [00:44:05] Yeah and a lot of those polls at least at my son’s high school are coming straight from the parent’s medicine cabinets. Melissa Sue Tucker: [00:44:13] So people need to keep track. Alicia Cook: [00:44:15] It has a whole, “Mind Your Meds” campaign. Melissa Sue Tucker: [00:44:19] Yeah. Alicia Cook: [00:44:19] And by the time, you know, they start young or if they start old. I mean I can’t afford paying $30 a day, three or four times a day. And if the alternative is quote unquote better high for $4 a bag, why didn’t they make the national transition to heroin. And a lot of people still think that even just we got them there like an experiment with heroin today no one says that. I mean no one thing no one but it’s scary. It started with pills. Melissa Sue Tucker: [00:44:53] Right. Alicia Cook: [00:44:54] For some it started with pills it was a medicine cabinet and it got out of control because we’re humans and we think we can control a substance. But the substance controls you it becomes a chemical dependency it does you know psychologically and physiologically it alters you forever. Melissa Sue Tucker: [00:45:15] Yeah. Alicia Cook: [00:45:16] That’s the pills. This is insane. Did you watch that keep calm then the Cape Cod documentary on heroin? Melissa Sue Tucker: [00:45:23] No. Is it on Netflix? Alicia Cook: [00:45:24] It’s on HBO. Melissa Sue Tucker: [00:45:29] Oh it’s on HBO? Alicia Cook: [00:45:29] Do you have HBO? Melissa Sue Tucker: [00:45:29] Yeah. Alicia Cook: [00:45:29] Go on HBO Go. And this documentary it’s called Cape Cod USA heroin or something. It’s not going to teach you anything you don’t know already if you’ve been doing your research but it’s something you just need to watch. Melissa Sue Tucker: [00:45:47] So basically that was pretty much the end of the podcast. The documentary that she mentions is Heroin, Cape Cod USA and it’s on HBO Go. We wrapped it up though we are talking about some other stuff. And Alicia went on to mention just how we were talking about how we found each other how I found her, and she gives a shout out to her editor Shari. So, I want to go ahead and leave that in the podcast if you go ahead and listen to the rest of it then we’ll share that, and I’ll wrap it up. Melissa Sue Tucker: [00:46:17] Well you’re definitely making an impact and I really appreciate you. So, thank you. Alicia Cook: [00:46:22] Aw, thank you. I’m so glad we connected on here. Melissa Sue Tucker: [00:46:25] Me too. Alicia Cook: [00:46:25] Randomly, you filled out the forum, right? That’s how I connected with you? Melissa Sue Tucker: [00:46:28] Yeah somebody shared one of your articles on a group that I’m in and I saw that and so then it was through the advertiser? Alicia Cook: [00:46:38] Yes. She, I mean Shari Twittermen, I’m giving her a little shout out she’s my editor at the advertiser. She was in the at the Asbury Park Press in New Jersey and started printing my articles and publishing articles when I was only getting you know a couple hundred views and she really believed in me and cause and she really was a big pusher of getting my voice out there early on and she is the person that runs all of my addiction articles. Even before the Huffington Post publishes them. Melissa Sue Tucker: [00:47:12] Wow. Yeah, I saw your article in there, oh go ahead. Alicia Cook: [00:47:17] I said I owe her you know a lot for the exposure that I would that I received. Melissa Sue Tucker: [00:47:23] That’s awesome. Yeah, I saw that, and I filled out well I went to your website then and so on to find out more about who you are and then I saw that you had an option for submitting your story and I had just been challenged earlier. I think that day by someone who said that I needed to write out my story and I haven’t been a huge writer I thought you know this would be a cool way to do it. It could do it with you know and then share it with you know your audience and you never know it might positively impact somebody before they get to where I am. Alicia Cook: [00:47:56] You know if one person reads your story and they’re like oh my god, I’m not alone. I am not alone in this because it’s very I feel very isolated in this. Melissa Sue Tucker: [00:48:08] Oh yeah. Alicia Cook: [00:48:09] And um and that’s been my biggest driving force too. Isn’t that like you’re not alone as much as you feel alone as much as your situation is unique. There is a support system out there people that are like I don’t 100 percent get your situation because it’s yours, but I understand what you’re going through. Melissa Sue Tucker: [00:48:28] Yeah. Alicia Cook: [00:48:29] And, I’m glad I am going to share your story and I’ll write it to the best of my ability and we’ll definitely get it out there. Melissa Sue Tucker: [00:48:38] All right what did you think. She is pretty phenomenal. So, go ahead. Come back to the show notes, addictionsupportpodcast.com/episode9 or if you just go to Addiction Support Podcasts it will all show up on the main page and check out the show notes. Check out the contest. If you have any questions on how to leave a review on iTunes I also have a video that I made on how to get through and do that on your computer, so you can watch that. I know it’s not easy, but you know it will help other people. And it’s one of those things so please do that if you feel so inclined and be kind to yourself just know, you know there’s other people out there we know what you’re going through and I love you. Make it a great day. 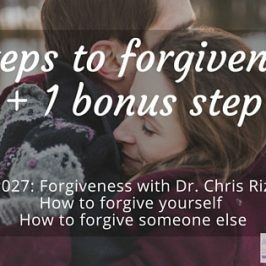 ASP027: Forgiveness with Dr. Chris – How to forgive yourself. How to forgive someone else.